Orders from France, through our commercially representative increase. Of course most are unconventional and high complexity, but this is the way to win new market. 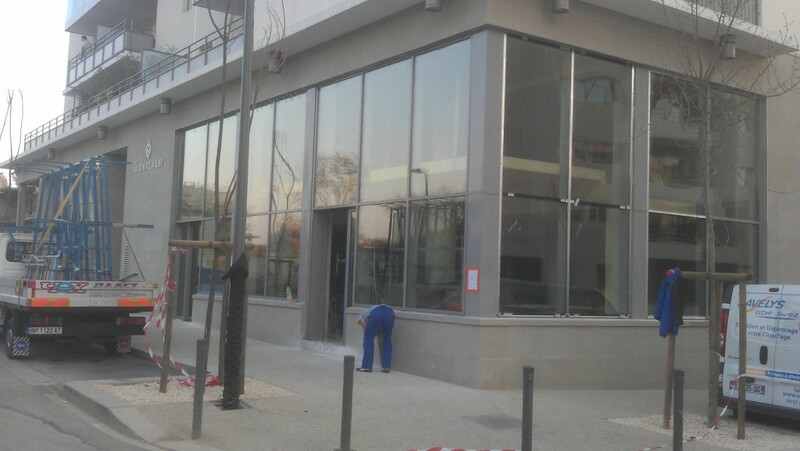 Bakery is "ABP Ovalie", 482 Avenue du Mondial du Rugby 2007 34 070 Montpelliers, France. Curtain wall is used in E85 ETEM, special laminated glass with six films - type 4.4.6 and telescopic automatic sliding doors GEZE, who have to use due to lack of space for two fixed where you slide the two wings. 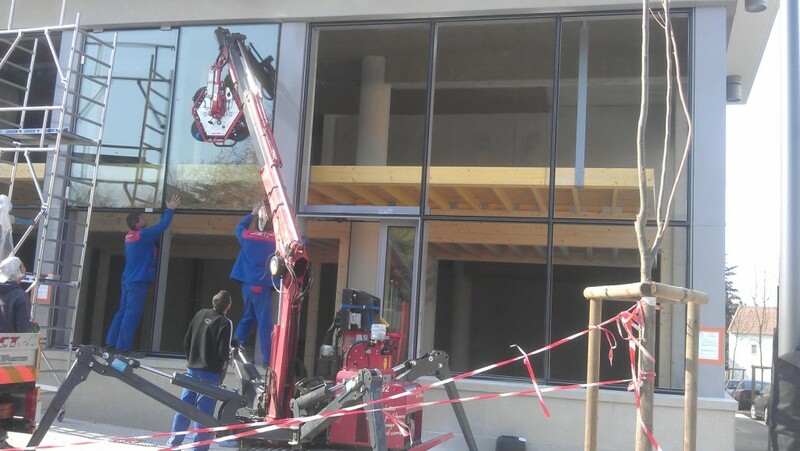 Large size and weight and height of installation require the use of specialized lift truck to place the glass.